The popular use of geographical information system (GIS) technology in landslide assessment ensures good, accurate and fast results with less cost and manages mass movements and identifies safe areas for the development of new settlements. In the literature, different methods have been applied in landslide susceptibility assessment using various models. In these studies, the methods are either expert knowledge-based or data-driven approaches. These two approaches produce different outcomes based on their specific characteristics. Thus, the simultaneous use of a set of methods using fusion techniques at the decision-level improves the results. 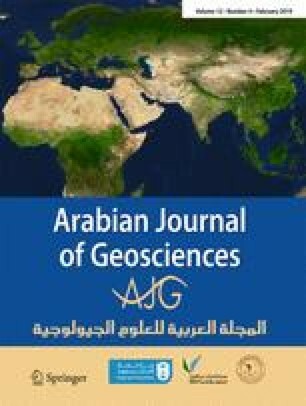 This study aims to investigate and identify a landslide zonation model by combining different methods in GIS and integrate the results (incorporated in the decision level) to achieve optimum accuracy. In this study, landslide hazard mapping was performed using knowledge-based models such as simple additive weighting (SAW) and fuzzy gamma operator and data-driven models namely radial basis function link network (RBFLN) and probabilistic neural network (PNN). Evaluation results indicate that data-driven methods have better performance than knowledge-based methods based on expert opinion. The SAW method also has a better result than other knowledge-based methods, such as fuzzy gamma. The assessment results of the randomly selected landslide control points indicate that PNN, SAW, RBFLN and fuzzy gamma have accuracies of 82.3, 69.62, 65.39 and 61.26% in landslide zoning, respectively. Meanwhile, weighted mean, maximum, median and minimum were used to incorporate the results in decision-level fusion; results show improved accuracies of 70.53, 83.5, 67.39 and 60.27% for each criterion, respectively. The manuscript is the final outcome of a close teamwork: individual contributions are not distinguishable. All the authors read and approved the manuscript.